Posted on February 24, 2016 by Dayna B. The activity that I was most looking forward to on our trip to India was riding an elephant. I have always been fascinated by elephants and the thought of riding one seemed like the coolest experience ever. But there was a problem. A big problem. I always try to be an advocate for animals and I knew all too well that elephants across Asia are not always treated well and are often exploited for tourism purposes. I certainly didn’t want to perpetuate that exploitation by paying money to individuals that don’t take good care of their animals. So what is a girl to do? Tourists have countless opportunities to ride elephants all across India and one of the most popular venues is at the Amber Palace in Jaipur. Everyday these elephants carry tourists up the hill to the entrance gate of the palace wearing cumbersome baskets designed to make the ride more pleasant for the tourists (pictured above). But these baskets are actually very bad for the elephants’ backs. Surprisingly, these gentle giants are not anatomically designed to carry heavy weights on their backs and the baskets make that weight even more damaging to the elephants’ spines. So I started researching ways that I could humanely interact with an elephant while in India and luckily enough I found two options. The first option was an elephant farm in Jaipur called Elefantastic. The second option was an elephant haven outside Agra called Agra Elephant Rescue & Conservation Facility. Both of these places afford tourists a hands-on opportunity to humanely interact with elephants. 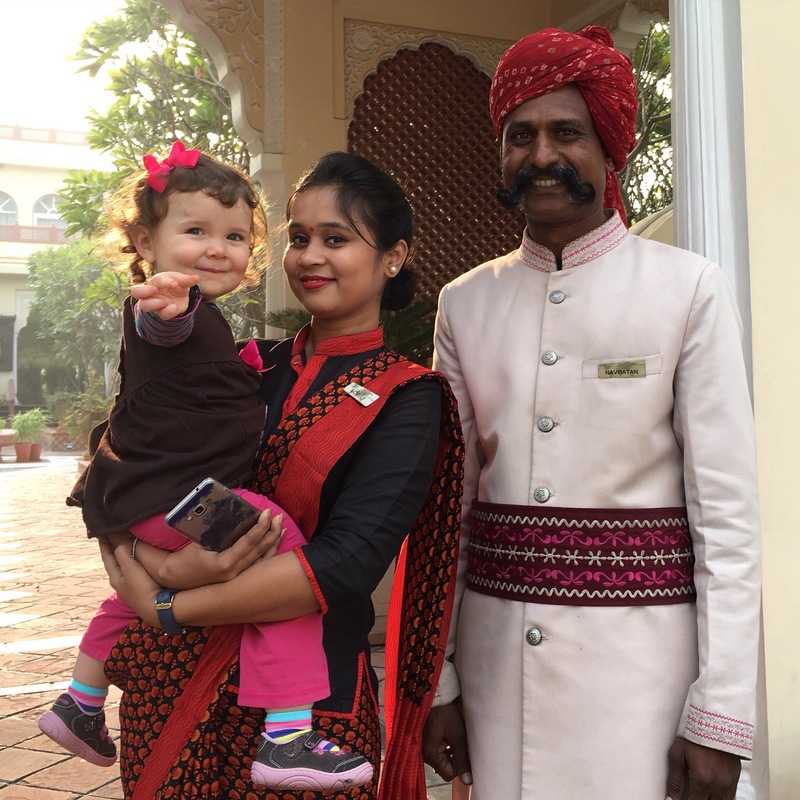 We only had enough time to go to one location and we ultimately decided to go to Elefantastic because we had more time in Jaipur than we had in Agra. There are 24 elephants that live on the farm at Elefantastic and each one lives with a caretaker and his family. Most of the caretakers, if not all, used to work their elephants at the Amber Palace, but have given up that practice now that Elefantastic has afforded them an opportunity to support their families in a more humane way, while also offering tourists a much more personal experience with elephants. I was definitely skeptical about whether or not these elephants were cared for as well as the owner, Rahul, claimed. For example, I was told that the elephants only give tourists a ride once per day and then that elephant gets to rest the following day. That means the business operates with 12 elephants per day, rather than 24 since they only work them every other day. I found that a bit hard to believe. Nevertheless, the elephants seemed to be happy and well taken care of. Overall, the experience at Elefantastic was amazing! We were introduced to a 19 year old elephant named Annarkali, Anno for short. Anno had been rescued from a circus in India about a year and a half ago and she was in pretty bad shape. She suffered from toe rot on all of her feet and her toe nails were finally starting to grow back healthily. Even more sad, her hind legs were deformed from being “trained” to ride a bicycle for a circus act. We spent a good amount of time bonding with her by petting her trunk and face, and looking into her eyes. It was the most beautiful thing to have such a personal encounter with her. Once we were officially introduced we got to feed her a LOT of sugar cane! Her caretaker, Ramjaan, continuously handed us stalks of sugar cane to feed her. After feeding, we learned about the royal tradition of painting elephants in India. The colorful paints are all-natural; made from the dust of ground stones and gems. Our artistic talents were lacking, but it was still fun. And then things got crazy…. Ella watched me put paint on my hands so that I could put purple handprints on Anno. So Ella took that as a green light for her to put orange handprints on her face! The all-natural paint washed off pretty easily though, so that was good. After we got cleaned up, we had our chance to ride an elephant. Rob rode on Anno and Ella and I rode on a different elephant whose name I can’t remember. You’ll notice that the man riding on Anno with Rob is riding on her shoulders near her neck. That is actually the most humane way to ride an elephant because it is much easier for them to bear weight on their shoulders as opposed to their spines. I wish they would have offered us the opportunity to ride in this manner, but maybe there were safety risks involved that prohibited them from doing so? After our ride, we offered our friend a drink. She would fill her trunk with 6-8 liters of water and then chug it down over and over again. Good hydration is key! When our elephant encounter was over, we were driven to the home of Rahul’s mother who had prepared us a home-cooked vegetarian Indian meal. It was delicious! If given the opportunity to start over, I would visit Elephant Haven in Agra instead of Elefantastic in Jaipur. While I do believe the elephants at Elefantastic are well cared for, I think the elephants at Elephant Haven are in a more natural habitat. They are free roaming and are not considered “property” to a specific family or caretaker. It really is a “haven” for elephants. Visitors of Elephant Haven are afforded a very similar personal encounter with elephants, at a fraction of the cost! (Elefantastic was the most expensive thing we did in India!) Elefantastic is a business, whereas Elephant Haven is a non-profit run by Wildlife SOS. The other key difference between the two is that Elephant Haven does not offer an elephant ride because of their stance on the humane treatment of elephants. Instead, they offer visitors to walk alongside their elephants. Even though riding an elephant was something I so desperately wanted to do while in India…it really wasn’t that exciting. Every other way we interacted with Anno was more meaningful because it was much more personal and affectionate than the actual ride. Posted on February 23, 2016 by Dayna B. We kept our schedule pretty breezy for our first couple of days in Delhi because we knew we were going to need time to recover from jet lag. One of the things we did during those first couple of days was visit a local craft market. 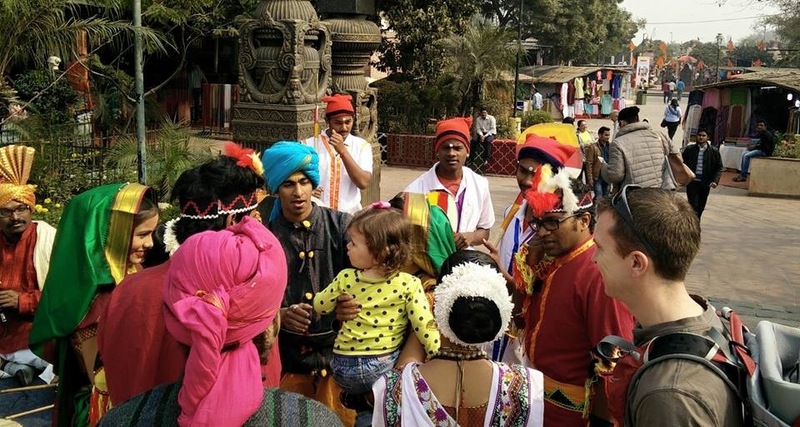 Dilli Haat is a craft market that allows you to ease into shopping in India because there is a small entrance fee which eliminates the hawkers and riff-raff that are commonly found in the open markets. Rather than being bombarded by people trying to sell us crappy souvenirs, Ella was bombarded by people that were dying to have a photo taken with her. India has a deep-rooted belief in reincarnation. It is a subject that I don’t really know much about, but I think Ella might have been a rock star in a former life! 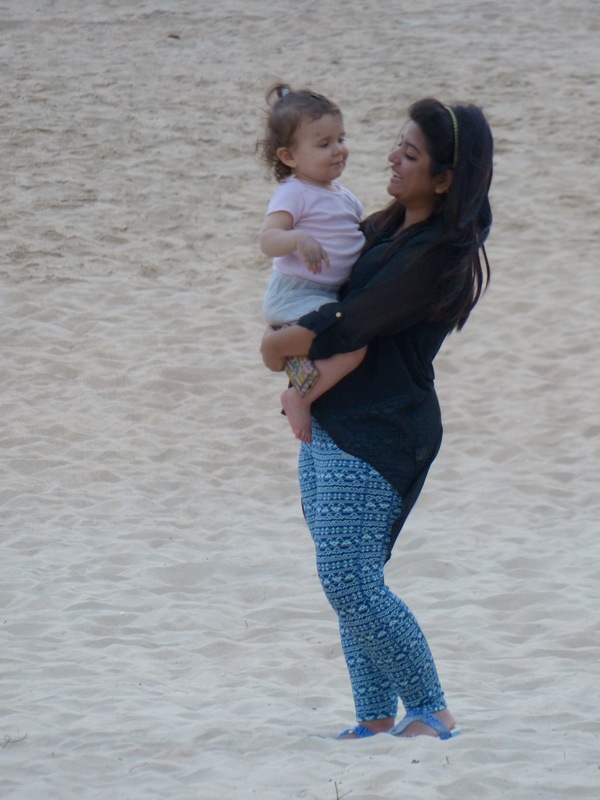 Everywhere we went in India we were constantly approached by people that wanted to have their picture taken with Ella. It was the strangest thing, but we generally obliged. As a result, Ella is most likely plastered on Facebook pages across the world. It seriously happened everywhere we went! It didn’t matter if we were checking out the sites, or checking into our hotel! At restaurants, our waiters wanted to carry Ella around the restaurant or show her the kitchen. People would just reach out to her with open arms and say “Come.” And off Ella went. She often came back with gifts from whomever she was visiting. If strangers approached our daughter while at home in the US, it seems unlikely that we would be so willing to just let some random person walk away with our baby. But in India…it seemed ok. Of course we weren’t completely negligent parents. We never let her completely out of our site, even if she did get 50 feet away. Has anyone ever experienced a phenomenon like this elsewhere while traveling? And were you as willing as we were to let strangers take selfies with your toddler? Posted on February 19, 2016 by Dayna B. What do you do when your dear friend abandons you accepts a 2 year job position in India? You cash in your frequent flier miles and you travel halfway across the world, duh! When my friend Brie told me about her upcoming job in Delhi I was very excited for her and I told her that I would definitely be inviting myself over for a visit. She probably heard that from a lot of different people, but I doubt any of them were as serious as I was! I have always wanted to travel to India and going at a time when I actually knew someone there seemed kismet. So dates were set, flights were booked and an itinerary was planned. 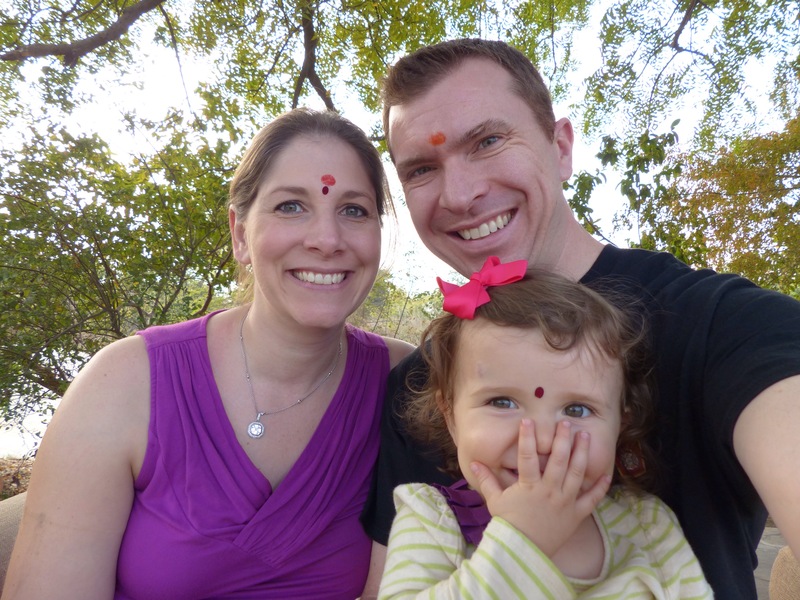 We enjoyed 16 days in India and we were able to see and do some really amazing things. Stay tuned for posts covering our time in Delhi, Jaipur, Agra, Ranthambore National Park, and Goa. And then there was a bonus stop in Qatar, where we had an overnight layover before returning home. 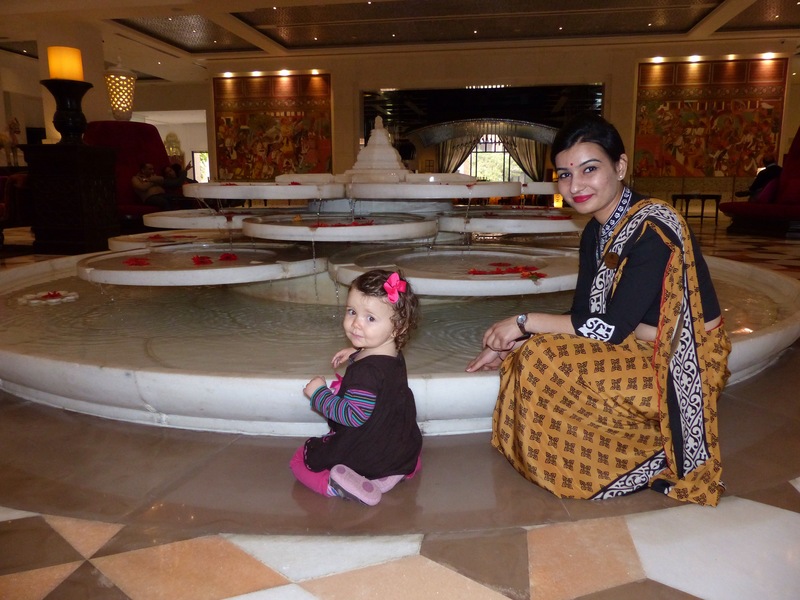 Oh, in case you were wondering…yes, we traveled to India with our toddler! That kind of travel clearly is not for everyone; adults and children alike. But if you are adventurous and keep an open mind, let us be your proof that it is possible to travel halfway across the world with a toddler…if you dare.